There is something to be said about having a mobile website. In fact, there are many things to be said. The importance of going mobile cannot be compressed into this article, but it should shed some light on the growing need for having a portable website. No matter what industry you’re in, there are no negative side effects to taking this route. In essence, you are hurting yourself by not having a mobile-ready site, because they are now where most people obtain information and make purchases. Many business owners too often fall into the comfort zone. They think that just because they have a website, they are immersed well enough into the tech world that anything else is just a waste of money. The problem with this mindset is that having a website is not enough anymore. Consumers are turning away from desktops (even laptops), as there are quicker ways to access information on the go. Everywhere you go, you can find someone strolling along with their phone in their hand. Don’t think for a second that this is not relevant to your business. That person you see walking by could be a potential customer, and that device they are holding is quickly becoming the top channel for linking them to you. Going mobile is one of the best investments you can make; there is no easier way to say it. Why does your website need to mobile? There are so many statistics currently available on the importance of going mobile, that it can almost seem overwhelming. This is a good thing, because any event that can spark so much attention is clearly one worth paying attention to. Smartphones outnumber regular cell phones and are continuing to be sold in droves by all of the major networks. They are becoming cheaper as well, as the demand for them is growing daily. To stay competitive, cell phone companies are forced to keep prices down to accommodate their customers’ needs. A basic understanding of cause and effect will make one realize that as more phones are being purchased, the number of mobile web users is growing. One study found that this number was about 83 million. What’s even more shocking is that this study was conducted over 2 years ago. Stop and think of how many people that is. With 9 out of 10 users taking action (including making purchases) via their mobile phones on a daily basis, there is profit to be had. The holidays are nearing close, but it is not too late to get started. The vast majority of websites are not mobile ready. This means that although they can be accessed from a mobile device, the pages will appear sloppy and disorganized. 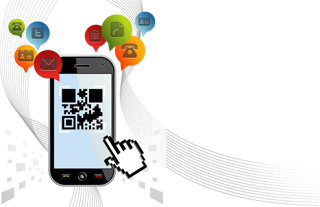 Mobile sites are designed and formatted for use specifically on smartphones. After all, customers are not going to stay long once they find they can’t even navigate your website. 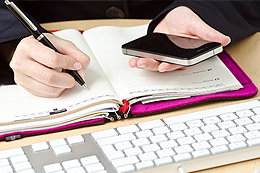 Most importantly, being mobile means having a website that can be accessed anywhere. Some of the most important decisions are made while on the go and it these moments that you want your business to be ready for.